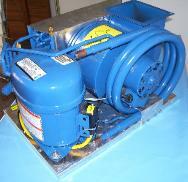 Self-Contained A/C and Split Component Systems available. A/C Units for Boats, Yachts, Sailboats, Powerboats and more! later, a shipment from King-Air arrived at my home. Due to my schedule, however, I was unable to tackle the job of re-installing the unit on my boat until Saturday, May 6.
be recognized for their dedication. consider such as high humidity of air due to close proximity with the water. and and can be tailored to specific needs by the specialists at King-Air. and pre-wired for easy installation. We also offer split component systems. Whatever your needs, we have the air conditioning system for you. For Troubleshooting tips, click here.